Funchal Mirasol ... We loved this place. 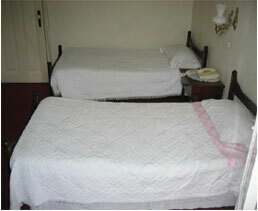 It was very clean and the host was extremely friendly and helpful. Wonderful City and Island, unfortunately weather was cool and rainy, perhaps another time of year would be better. Very good breakfast! 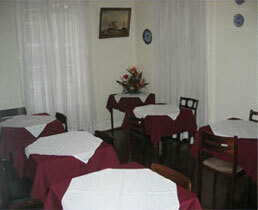 The Pensão Residencial Mirasol is a traditional Madeiran guest house, located in Funchal, Madeira Island`s, main city. Set in the Old Town of Funchal and close to almost everything: restaurants, the main market - "Mercado dos Lavradores", supermarkets, shops, bars, pubs, bus stops, bus stations, cable car station, banks, post office, etc. Whether you come to Madeira for the spectacular flowers and trees, the famous levada walks or simply to relax strolling around in the sun - the Pensão Residencial Mirasol is the ideal place for you. 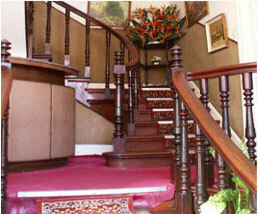 Our home has been welcoming visitors to our island for over a hundred years and we look forward to welcoming you too. Each room is well furnished and consists of private bathroom, cable television, telephone and balcony with sea and mountain view. 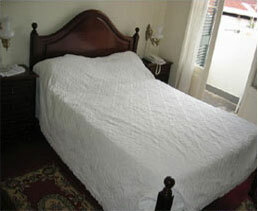 In this B&B you will still find a breakfast room as well as a reading lounge for our guests. Everything lies quite close to Pensao Residencial Mirasol and therefore easy to get to from here. Restaurants, the main market, supermarkets, shops, bus stops, bus stations, cable car station, the bay of Funchal and promenade, to name a few are all situated within a (maximum) 5 minute walk away. 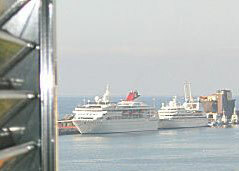 You may travel by bus from the airport to Funchal. When you arrive in Funchal please get off the bus at the citys market called Mercado dos Lavradores (MERCADO) - Please see our map photo. From here please walk up to Rua Bela de S. Tiago. Pensao Residencial Mirasol is located mid-way up this street to your left hand side.